In most surrogacies, intended parents and prospective surrogates are lucky enough to meet each other before the baby is born. Intended parents may travel to a surrogate’s state to get to know her before a match is solidified, before the embryo transfer takes place or to be present at one of her prenatal appointments. A surrogate, on the other hand, will travel to the intended parents’ clinic as the same time they do and likely spend a few days in the area. All of these opportunities offer great chances for intended parents and surrogates to get to know each other better and create a solid relationship and partnership through their upcoming journey. But, what exactly should surrogates and intended parents do when they meet face-to-face? How do you approach building a relationship with someone who will be so important to you for the next year or more? The answer is always whatever both parties are most comfortable with. Some surrogates and intended parents will jump into a friendship more easily than others, and that’s okay. It’s about doing what is right for your and your partner’s preferences to be as successful as possible while moving forward. Women who become surrogates with our agency are required to be raising at least one child in their own home — which means intended parents who are visiting should consider including their surrogate’s family in their bonding activities. After all, a surrogate’s family is just as impacted by her surrogacy decision as she is, and it will mean a great deal to her if all of her immediate family is able to get to know and build a relationship with the people she is carrying a baby for. It may even help her children understand the process ahead. If a surrogate’s (or intended parent’s) family is able to participate in a bonding activity, consider a fun activity like going to the zoo, the museum or the park. Finding an activity where children can be occupied allows their parents to focus more on bonding with their surrogacy partner while also including the child in the process. On the same train of thought, if you are looking for a unique activity to do while spending time with your surrogacy partner, think about the local attractions in your area. Whether it’s a museum, a park, or another kind of local feature, taking your surrogacy partner there allows you to “do something” while bonding and will give your partner a taste of the area that you live in. Spa days aren’t just for ladies; men can enjoy the benefits, too! Both intended parents and surrogates will likely go through their own set of stressors during surrogacy, and a spa day can help them relieve those feelings. Take time to get some massages, pedicures or whatever else floats your boat; your body, mind and relationship will thank you for it. If you’re not comfortable enough to commit a full day to bonding quite yet, having lunch or dinner with your surrogacy partner can be a great way to start getting to know each other. It provides a great opportunity for conversation, and you get a meal out of it, to boot. If you decide to take this route, think of a few conversation topics ahead of time. Odds are you have already talked about the logistics of the surrogacy journey before this point, so use this meal as a way to learn more about your surrogacy partner’s personal life and family. If you and your surrogacy partner have similar interests, you might choose to add something fun like a concert to their visit. 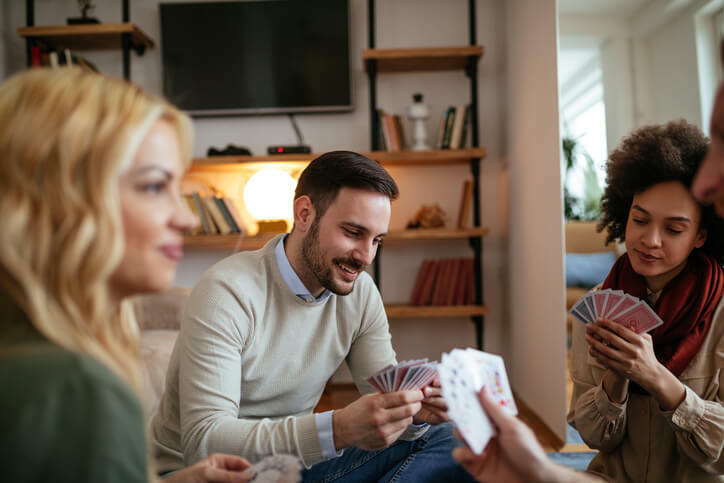 While you may not be able to talk to each other as much as you would with another activity, it can be a great bonding experience and help kick-start your relationship. It will also be a memory that you’ll be able to look back on for years to come. If you are both outdoorsy people, a hike, bike ride or similar outdoor activity can be a great way to get your blood pumping! Surrogates may not be able to continue their exercise regimen once they are far along in their pregnancy, so take advantage of the opportunities to explore the great outdoors — talking and encouraging each other every step of the way. Always make sure that a surrogate is cleared for appropriate physical exercise before making plans for this activity. Finally, if your surrogacy partner is coming to you, offer to give him or her a tour of the town where you live. This gives intended parents an idea of what a surrogate’s community will be like during her pregnancy, and it gives surrogates an idea of what the parents’ child will be like as he or she grows up. It can be as detailed as you want; whatever you choose to share with your surrogacy partner will help them get to know you in a completely different way. For more suggestions on how to build a strong relationship with your surrogacy partner, you can always talk to your surrogacy specialist at 1-800-875-BABY (2229). She can discuss with you in more detail what she thinks is appropriate for your personal relationship. Whatever you choose to do, remember this: The relationship that you have with your surrogacy partner will play a large role in the success of your journey moving forward — so always take the time to make it the best it can be.